The UK is facing a growing IT skills deficit, with the demand for new talents rapidly outpacing supply. Businesses are becoming increasingly reliant on technologies which require highly skilled expertise to help run their day-to-day operations. This reliance on complex technologies is forcing many businesses to acquire new skills just to run their day-to-day operations. By dedicating more time to maintaining their operations, businesses are finding their ability to innovate restricted. This demand is putting pressure on an already overstretched industry, with the situation set to worsen – the British Computer Society has warned that the number of students pursuing a computing qualification could halve by 2020. One area seeing a huge increase in demand is the cloud and skills surrounding its implementation and management. A recent study from IDC revealed that almost all (95%) businesses now rely on an infrastructure that uses “multiple private and public clouds based on economics, location and policies”. With businesses now potentially working across several different clouds at the same time, it’s clear they will need to employ or acquire the expertise to implement and manage these services. These changing needs are rapidly changing the IT skills landscape of the UK, as business demands dictate which skills are in vogue. Containers – a technology that has seen a recent surge in interest – are taking the growing complexity of enterprise infrastructure and helping businesses simplify it. Containers are stand-alone, executable packages of software that include everything needed to run it: code, runtime, system tools, system libraries, settings. In short, containerised software will always run the same, regardless of where it is used, even in different clouds. This is beneficial for businesses which can now find it much easier to have consistency, predictability, isolation, and portability across different computing environments. Highlighting this importance is the growing demand for containers, which in 2016 generated $762 million in revenue and is forecast to reach $2.7 billion in 2020 by 451 Research. The demand for containers has caused a sharp increase in interest in Docker, an open-source project that provides abstraction, automation, and APIs to make containers easy to build, manage, and deploy. In a recent analysis of skills related to containers, using ITJobsWatch, we found that demand for the Docker skillset has grown by 83% in the last year. This mirrors the results of Rackspace’s IT skills analysis in 2016 which revealed that business’ desire to stay on top of new tools and their constantly changing features is part of the reason why the demand for professionals with Docker expertise grew by a considerable 341% between 2015 and 2016. Docker isn’t the only skillset to have been driven by containers: Google’s Kubernetes project has seen meteoric growth in demand for engineers, increasing by 919% since 2016. Kubernetes is a platform for automating the deployment, scaling, and operations of application containers across clusters of hosts, and uses Docker. Businesses adopt Kubernetes to ensure that their services are always relevant and scaled to the demand they receive. The sudden increase in demand for these skills has created a gap between the expertise available and the rate at which professionals are acquiring the relevant skillsets. Thankfully, there are a number of ways that cloud engineers and developers can work towards learning these skills. Upskill existing workforce: Tackling this issue head-on, a business could upskill their existing workforce. By investing in their existing talent, they can ensure they retain staff that are already familiar with their work. It’s crucial that businesses provide both the tools and time for developers to practice and experiment with the software, in order to help them improve their skills. Outsourcing talent: Alternatively, a business could look to outsource their needs to a managed cloud provider, who is more likely to have talent with this expertise. Utilising external expertise would also help upskill the businesses workforce over time, as their staff develop an understanding of the software through exposure to the managed cloud provider’s experts. At present, there are no widely recognised professional courses for container skills – the container ecosystem is still evolving rapidly enough that any detailed curriculum would soon be out of date. Therefore, these solutions present the best methods for a business to keep up with the demand of containers. Developers and businesses need to address the ever-widening skills gap in technology. Any organisation that doesn’t take steps to foster talent will ultimately be out-paced, out-innovated, and ousted from the market by competitors who do keep pace with the change. Developers that fail to learn and adapt to the changing demands of enterprises will find themselves struggling to compete against staff with the talents that are in demand, and unfortunately will slowly become irrelevant. 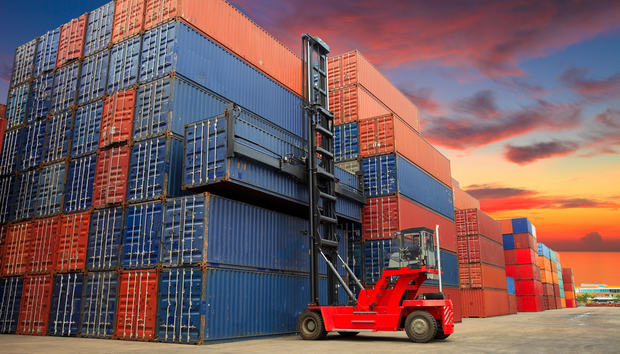 Platforms like Kubernetes and Docker are just starting to gain traction. These are providing the foundation for a flexible private Platform-as-a-Service approach for businesses that can enable a new type of safe creativity and experimentation that leads towards innovation. The only way to handle the rapidly changing tech landscape is to embrace it and ensure the skillsets needed are fully accessible.